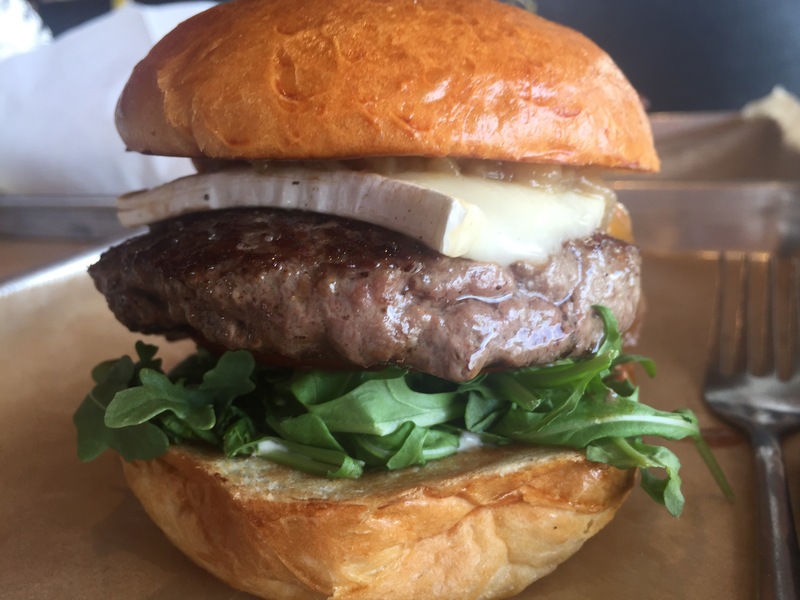 Hopdoddy is the type of burger place to “one up” the competition. Your typical burger place probably has a chocolate shake on their menu. Hopdoddy serves a stout chocolate shake. Your typical burger place brags about their fresh, never frozen, meat. 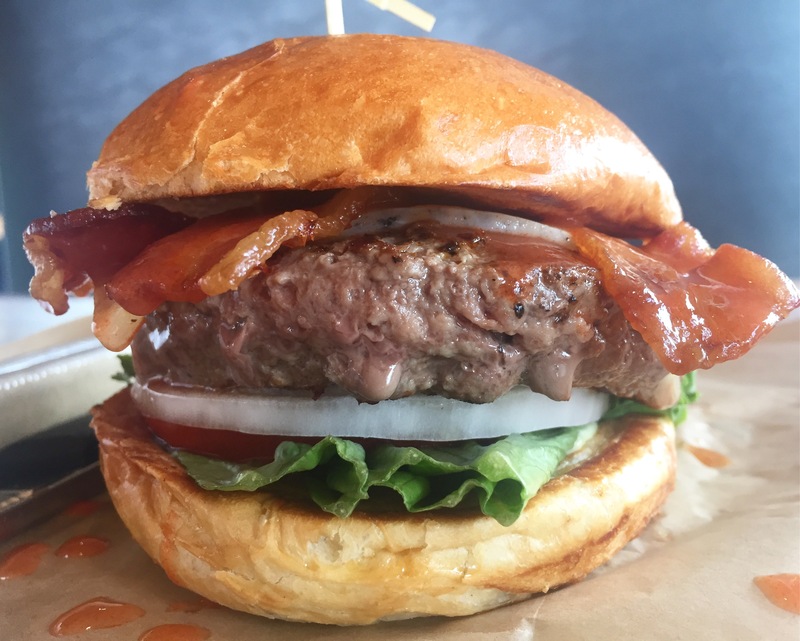 Hopdoddy grinds their own meat in-house and bakes their own buns from scratch. It is attention to details such as these that create a better tasting product and, in turn, a cult-like fan base. Quality is what sets Hopdoddy apart from the competition! Burgers. The menu is loaded with various takes on the hamburger. Besides the typical beef patty, they have burgers comprised of lamb, bison, turkey, chicken, and the vegetarian “Impossible Burger.” When I visit, The “Primetime” is my go-to. The patty is American grass-fed Kobe beef, then topped with melted brie, arugula, caramelized onions, steak sauce, truffle aioli, and tomatoes. UM, yeah. Fries. 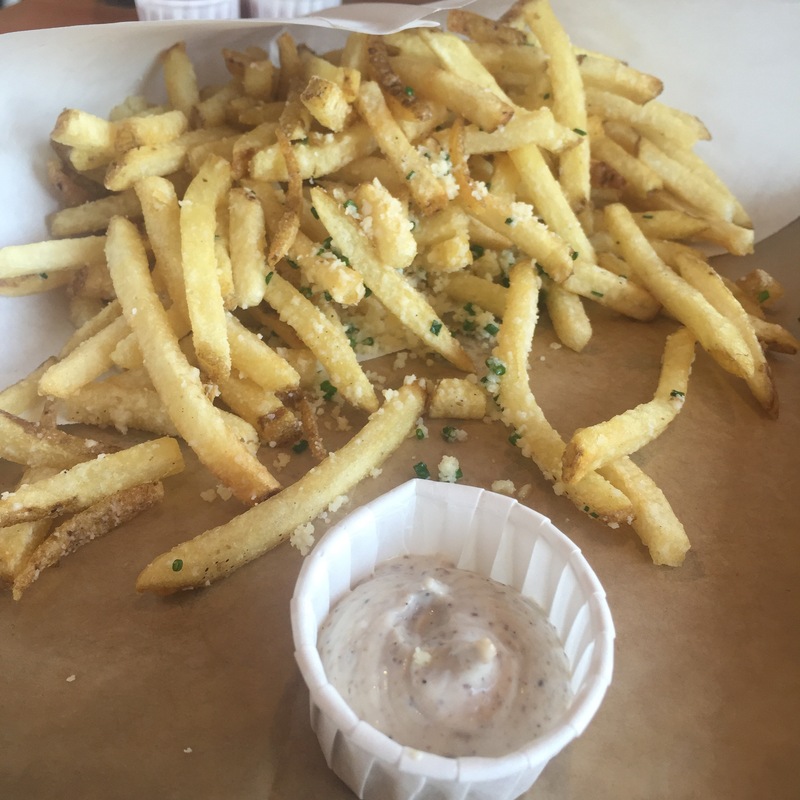 Hopdoddy hand cuts their fries, and if you order the large, prepare yourself for a MOUND of fries to arrive at your table. I recommend their specialty fries such as the chili con queso, or my personal favorite, the Parmesan Truffle fries with a side of Truffle Aioli. They are salty, cheesy, and delicious AF. Shakes. 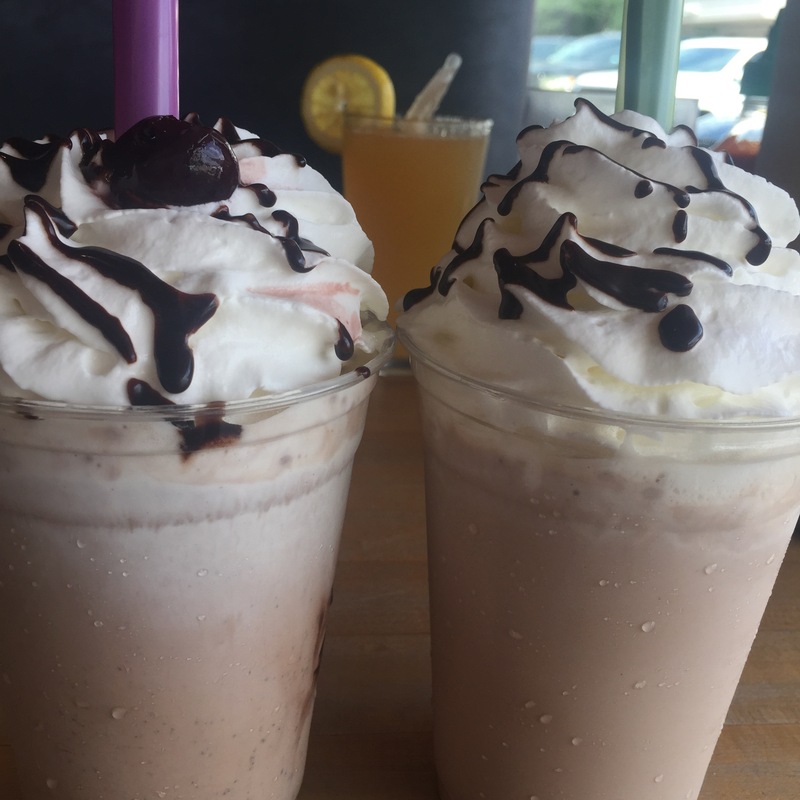 First off, Hopdoddy uses their own cinnamon-vanilla custard to create their milkshakes. They offer natural vanilla bean, stout chocolate, caramel sea salt, red velvet cake, Oreo, or Nutella chocolate pretzel. I was wondering what stout chocolate meant, and was explained that it is a chocolate shake with boiled down stout beer which gives it that extra bang (minus the alcohol). They also offer limited edition shakes, so I upped the ante and ordered the Chocolate Cherry Bomb Shake. This masterpiece consists of ice cream, chocolate sauce, cherry syrup, fudge brownies, cherries, and whipped cream. The straws are super thick so that you can easily slurp up this shake and all the crumbled brownie pieces that come along with it! Hopdoddy is the place to go to when you are hankering for a hamburger, but demand something more. With 12 locations in Texas, California, Colorado, and Arizona, you are running out of excuses to try this magnificent burger bar. Make it a point to stop in and experience Hopdoddy for yourself!